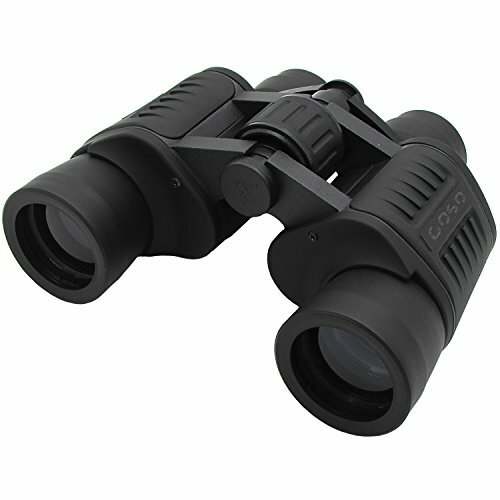 The GOSO 8×40 Outdoor Binocular features a durable design and rubberized, abrasion-resistant finish. A central focus knob for smooth viewing and Porro prism coated lenses that provides sharp viewing. Ideal for stadium sports, concerts, bird-watching, hunting, and many other outdoor/nature applications. A convenient storage case with straps is also included.